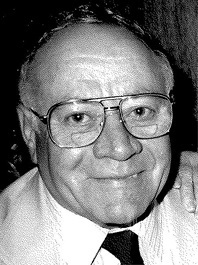 Eugene R. Clini was born in New Haven, CT on October 8, Eugene was married to Viola Ciaschini for 68 years and the father of 4 children, 10 grandchildren and 12 great grandchildren. He served as a 2nd lieutenant in the CT National Guard during WWII. Upon returning from the war, he was employed by United Illuminating Co. as a Construction Supervisor where he was employed for 35 years and retired in 1979. He obtained his pilot’s license while a member of the Civil Air Patrol. Eugene became a member of the Regional Marchegiana Society at the age of eleven. He remained a member all of his life and was President for over 25 years. Eugene was always proud of his Italian heritage. He always said that he was one of the first Italians to work at the UI Co. He was a member of the Italian American War Veterans and became the National Senior Vice President of this organization. 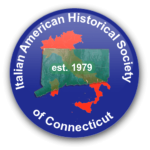 In addition he was a member of the Italian Alliance and the Italian League in CT. And, of course, he was proud to say he was one of the founding members of the Italian American Historical Society. He was also an active member of the American Legion, a lifetime member of the VFW, and a member of the Disabled American Veterans. He was a member of the Amity Regional High School Building Committee in the 1970’s and he served as Chairman of the Turkey Hill School Building Committee in Orange CT .
Eugene passed away in 2006. He lived a long, productive and wonderful life.